Because things look different from the other side of the counter. I know it takes me 3 steps to go from the sink to the ice container to the counter, 4 and a 1/2 pumps to fill a grande cup with hot coffee, and about 76-78 seconds to steam milk. But don’t ever ask me to do mental math when giving change because I’m terrible at it. One of my favorite things is to give people recommendations. Seriously, if you can’t make up your mind, just ask and I can rattle off a dozen different drinks you’ve never thought of. It makes me feel important. I don’t particularly like people who order macchiatos. Mostly because they don’t really know what a macchiato is. Barista lesson: it’s an upside-down latte. So when you order a macchiato and immediately stir it= Your macchiato becomes a latte. You should have just ordered a latte. While we’re on the topic, other customers I don’t like: those who order venti cappuccinos (you know it’s all foam right? ), others who insist on calling the cups small-medium-large (But your large is my grande and “small” is really a short and it would just be easier if you just used the right terms), and the countless people who say eXpresso (just stop. Please. I’m begging you). People who get decaf coffee: Good for you for not being dependent on caffeine. People who are rude to me when you order: I give you decaf because you are dependent on caffeine (hehe). I’m good with whipped cream. Just saying. Most days I work, I use my shift as a social hour. 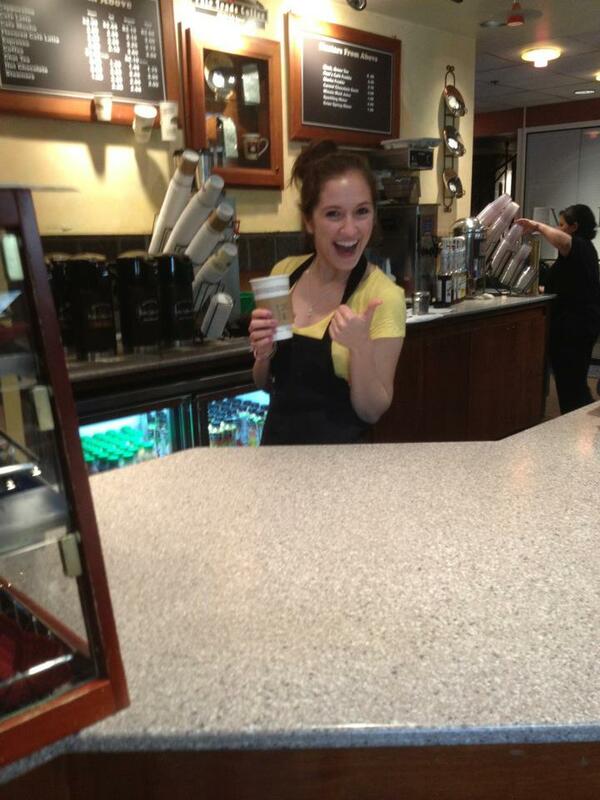 One of the perks of working at the busiest coffee shops on campus is that I see EVERYONE I know. So you’ll usually find me making a drink and gossiping with the person it’s for. They say coffee is addicting, but I want to argue that the smell of coffee is also addicting. Every time I refill the espresso beans, I take a whiff of the bag because it smells so damn good. Here’s to the barista life & giving people the gift of caffeine. Likes & Favorites: Happy Turkey Day! This is super interesting. Especially numbers 4 and 5! Any tips on chai?